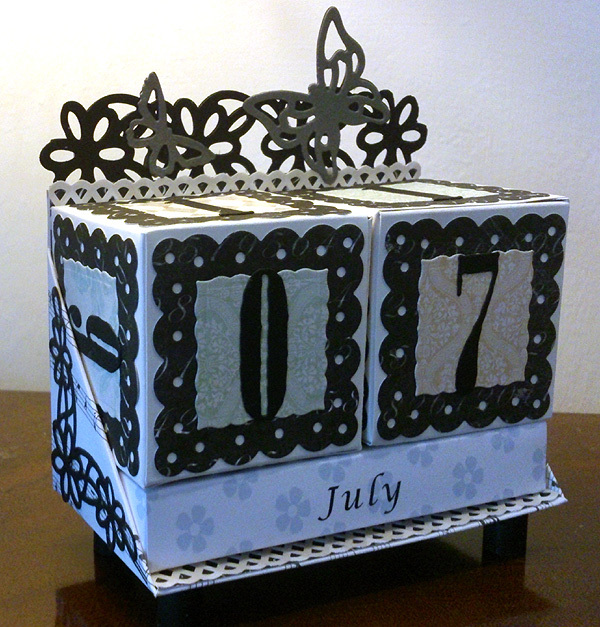 I made this little desktop calendar from my own template, and then embellished using lots of Tonic. The new scalloped threaded square dies are going to get used a lot by me, as are the number dies that come with the squeeze gift box. Never be stuck for a special number on your cards again! Two lovely fonts to choose from too. On my rather long to do list is to make available for you the printable template for this calendar and also for the tissue box cover I designed a while ago - I'm sorry I haven't got around to it yet - a few of you asked for the template - but I have not forgotten. Life gets very busy sometimes. Hope you enjoy the show tonight at 9pm on Ideal World.